Cora Cash is an American Emma Woodhouse of the fin de siècle. Clever, spirited and rich, she is used to having her way and, despite her experience as a celebrity heiress, in matters of the human heart she is utterly naïve. When her husband-to-be, the Duke of Wareham, chivalrously saves her after a fall from her horse in Paradise Wood, the fairy tale seems complete. My Last Duchess is as much about the clash of transatlantic cultures as it is about fluctuating happiness in a spontaneous love-match. 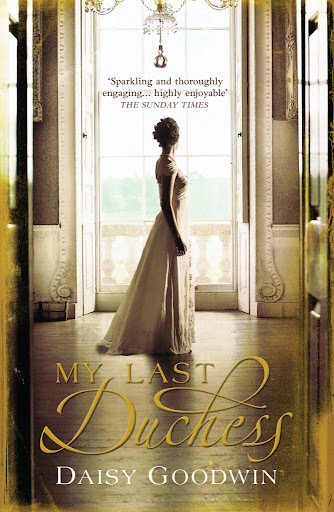 As Cora makes faux pas after faux pas in her new role as Duchess, a clandestine relationship surfaces that makes Cora question whether the Duke has married her for love or for her money. thank you for the article. i just about passed your web site up but now i’m glad i clicked the link and got to go through it. i’m definitely a lot more informed now.